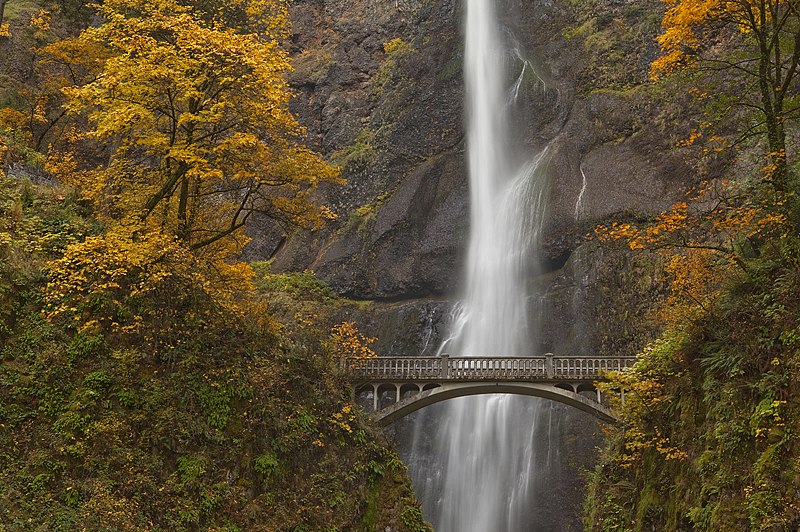 The Fall colors accent the iconic bridge at Multnomah Falls, Oregon. This waterfall is the second highest year-round waterfall in the nation. Plummeting 620 feet, the waterfall is fed by rain, snowmelt and underground springs on Larch Mountain. Photo © copyright by Richard Bitonti.